President Qiao Jianyong attended the forum and made a special report on the topic of “cultivating high-quality innovative and entrepreneurial talents with the backbone of building a network”.President Qiao Jianyong introduced the basic situation of our school from the aspects of Scientific construction and Professional facilities, focusing on the Dual characteristics of talent training mode of the school's "Cultivation of innovative and entrepreneurial talents led by ‘WIN’ culture" and "Internet-supported information teaching construction". 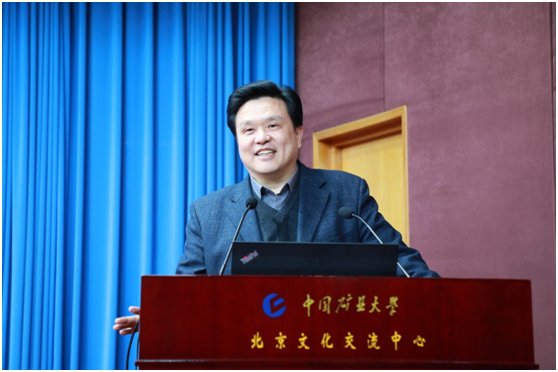 President Qiao Jianyong summarizes the achievements of the school's talent training, and looks forward to the "first-class undergraduate education" construction carried out by the school. the Cooperation Consortium of Beijing High Technology Universities was established in 2011 and consists of 12 universities including Beijing University of Posts and Telecommunications. Most of the member universities are high-level industry-specific universities. As one of the main members, My school has always played an important role in the construction of the alliance. The school adheres to the open thought of running a school, and through the realization of resource sharing, complementary advantages, collaborative innovation, and strong cooperation. It carries out all-round and in-depth cooperation and exchanges with other member universities in terms of personnel training, scientific research, faculty construction, and social services around the country's major strategic needs, and has achieved significant construction results.